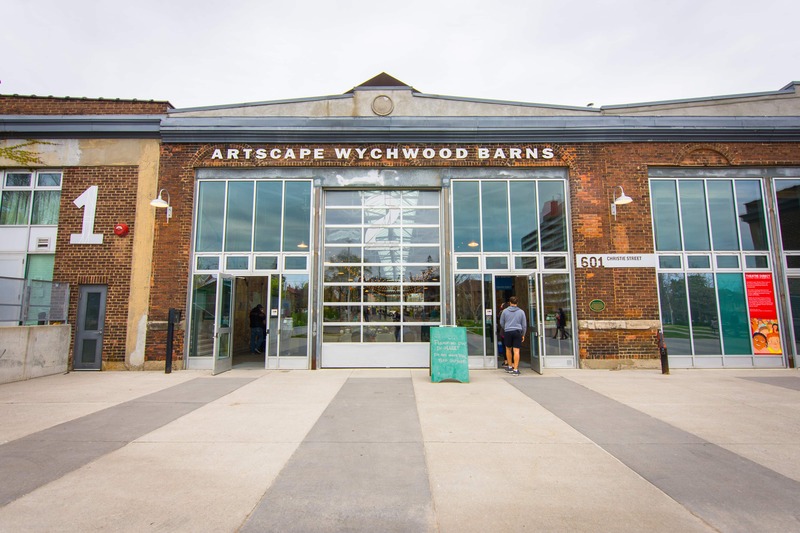 Operated by Artscape since November 2008, the Artscape Wychwood Barns is a community cultural hub, where a dynamic mix of arts, culture, urban agriculture, environmental and other community activities come together. 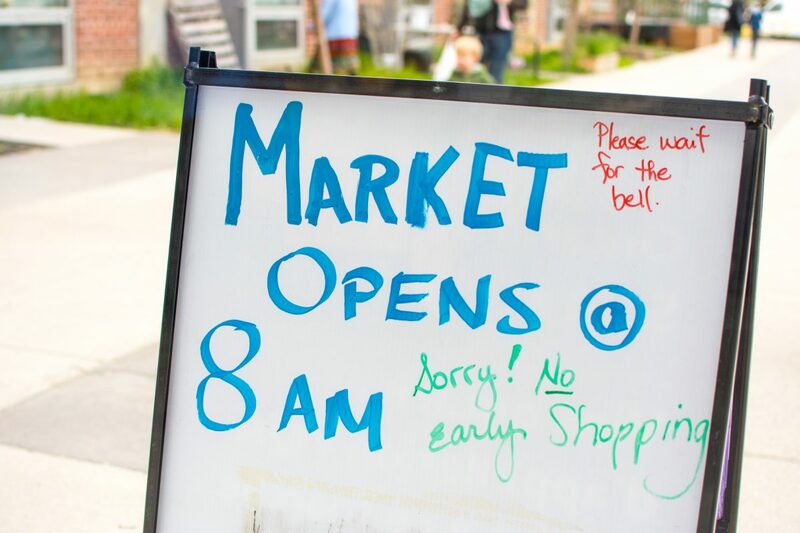 Although connected and functioning essentially as one building, each barn offers distinctive services, from rental space for community events such as festivals and art exhibitions, to containing working and living space for twenty-six artists, as well as extra studios and a gallery exhibiting local work. 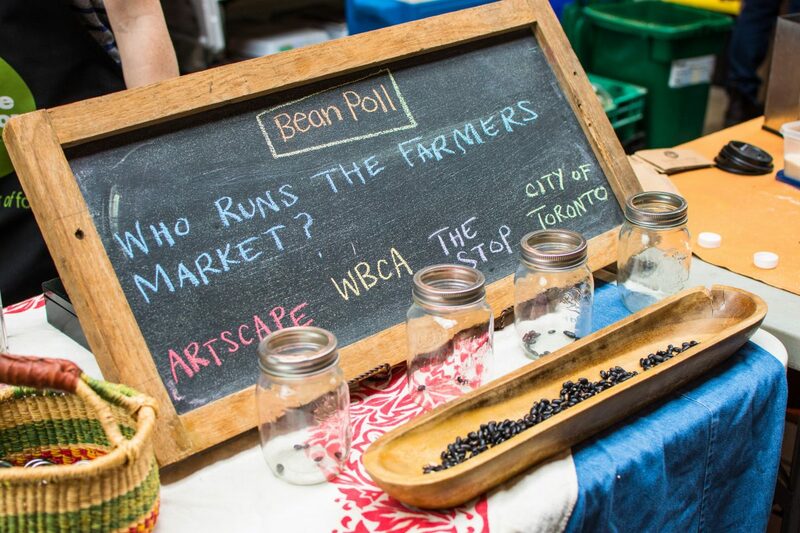 The Stop Community Food Centre runs the Green Barn, Barn Four, which includes a food education centre, greenhouse, community kitchens, and outdoor components consisting of a bake oven and a sheltered garden. 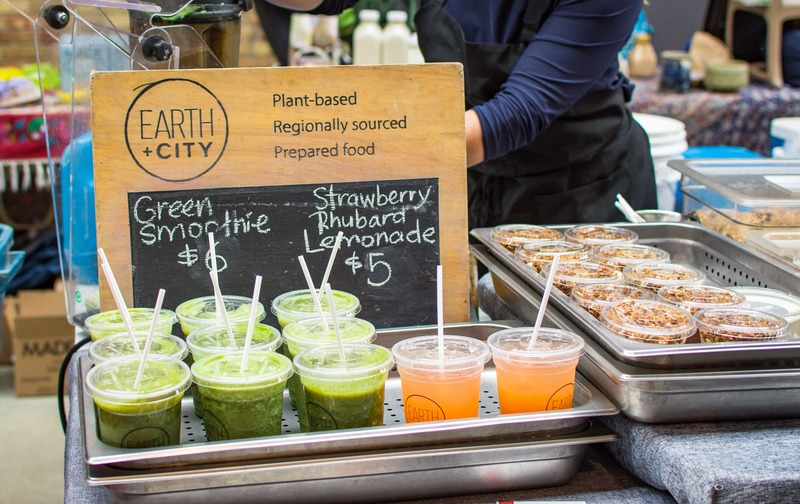 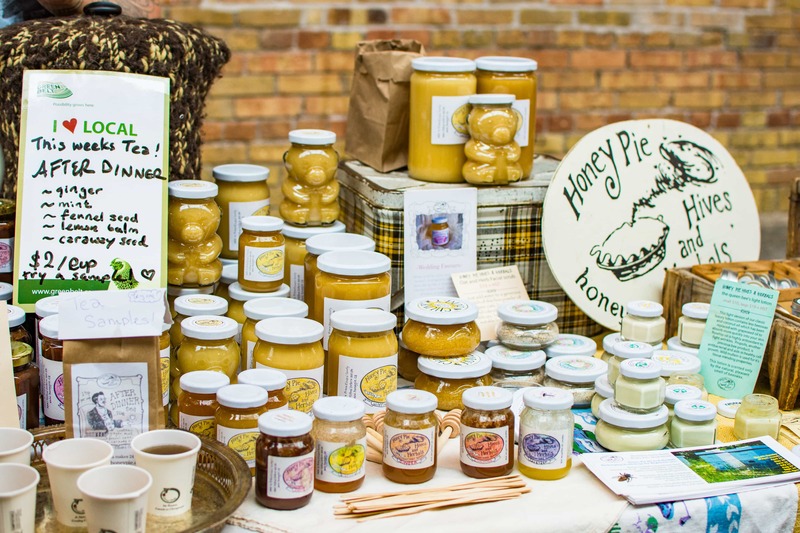 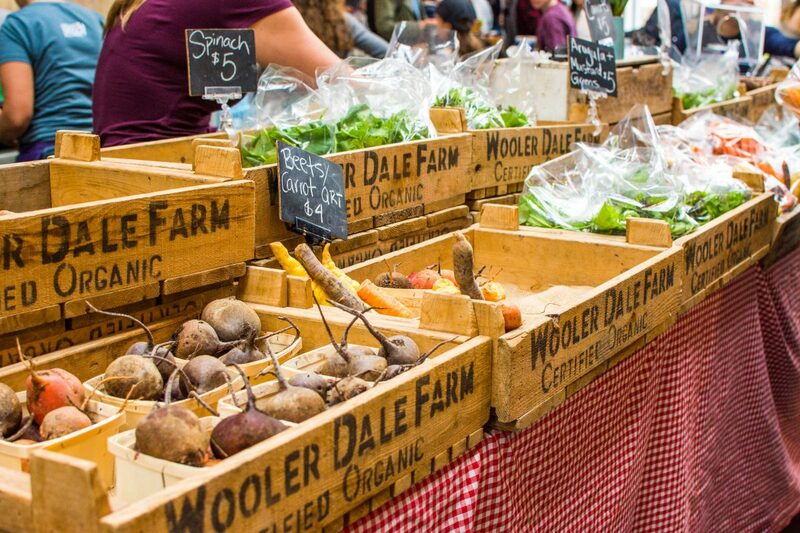 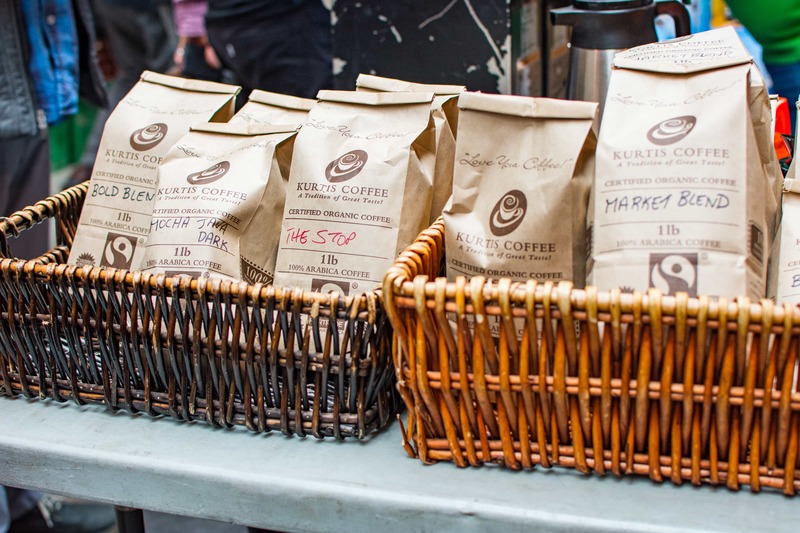 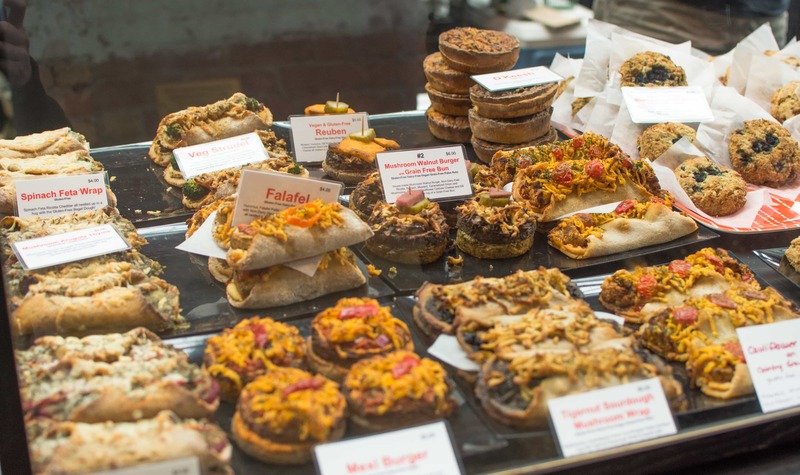 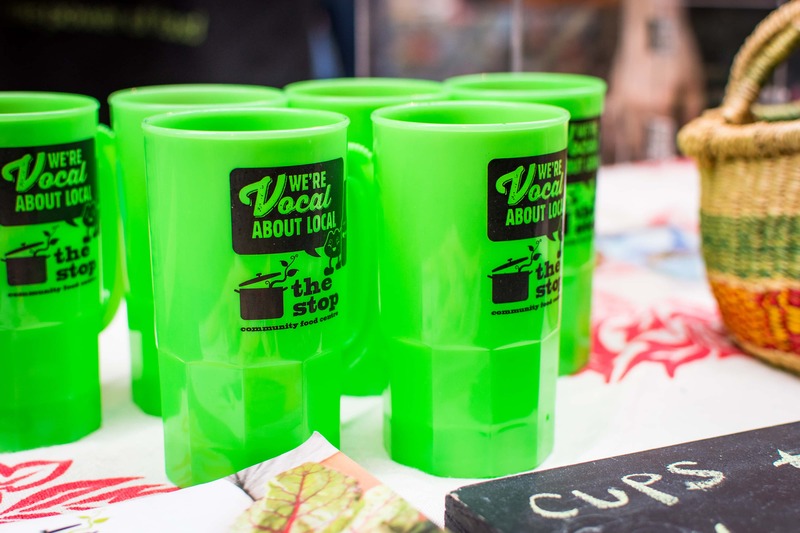 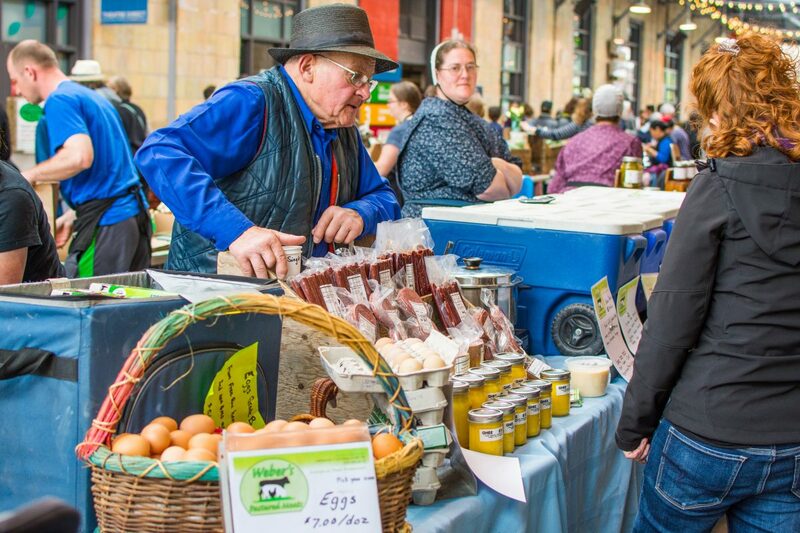 Their Farmers’ Market is one of the two largest in the city and features local, sustainable, organic, and artisanal products. 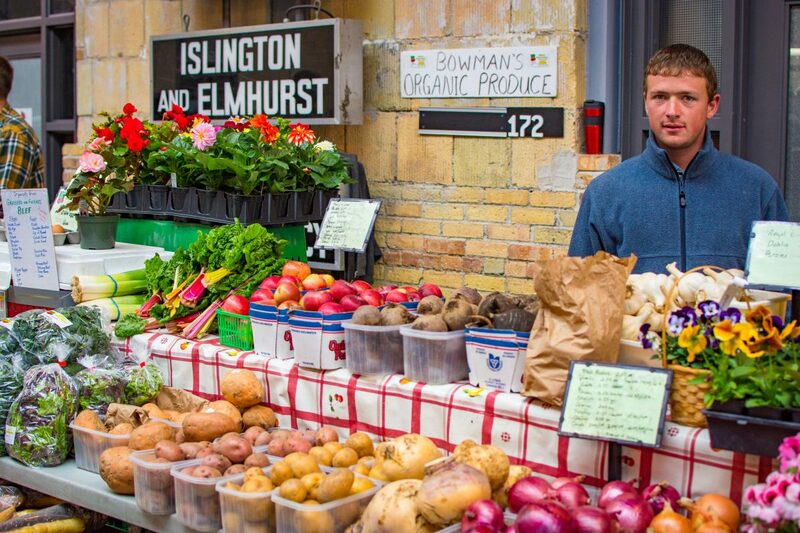 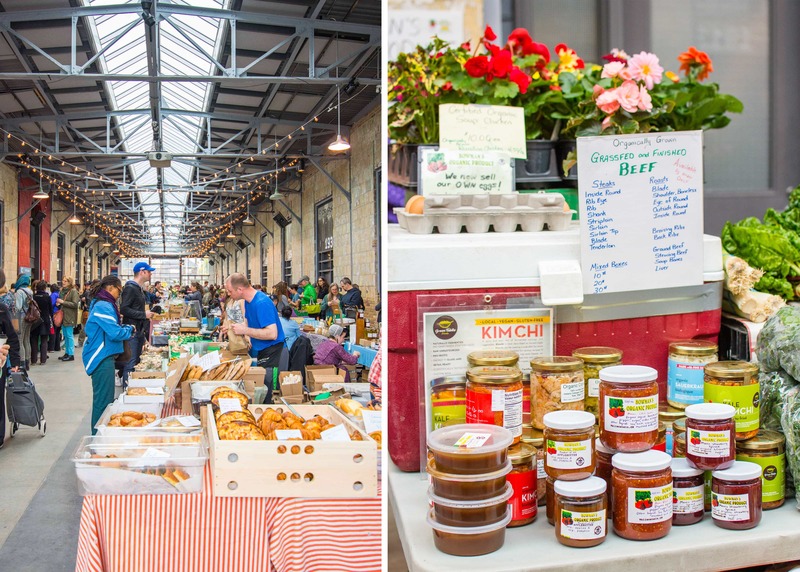 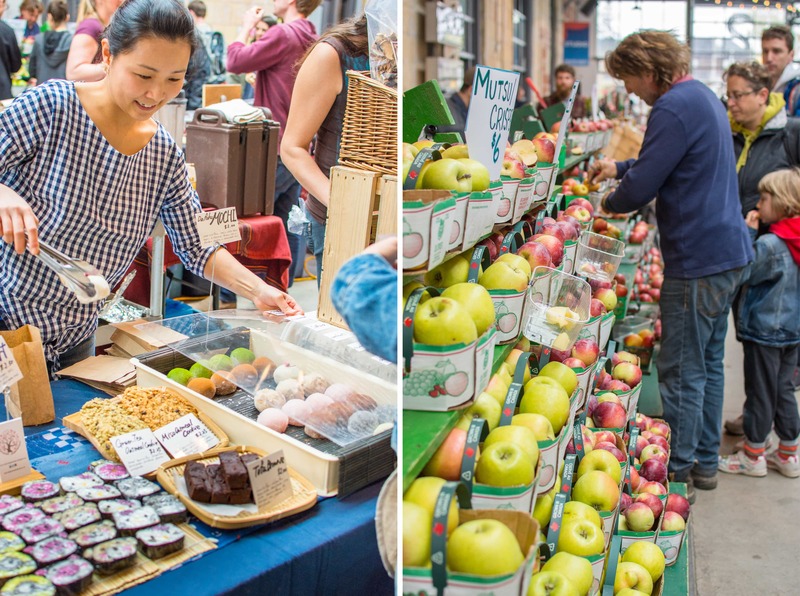 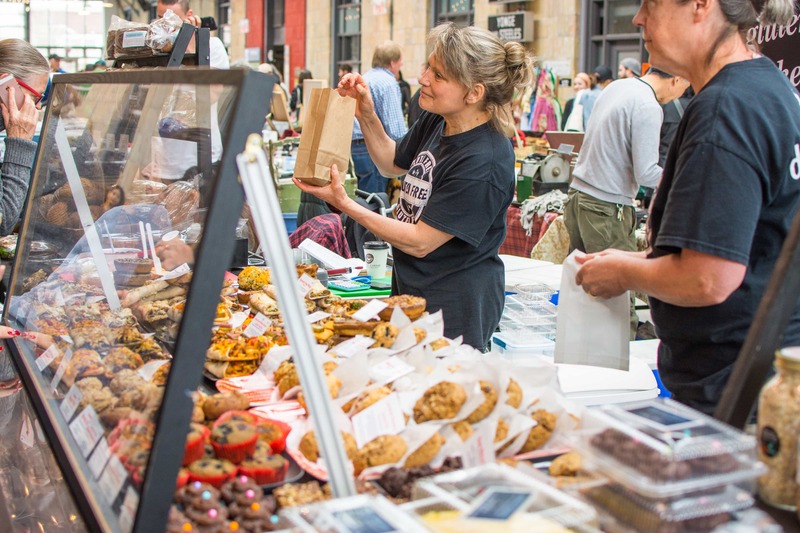 This market has become THE neighbourhood meeting place, attracting more than 1,500 people each week and providing an important support for local farmers.